Does anyone know how/if you can replace the default sun texture in 1.3.x? I've tried editing the sharedassets10.asset file (which I "think" is the right one) but I'm not having any luck. I'm thinking I just need the right editor, maybe the one's I've tried (UAE, UAV) aren't compatible with the newest version of Unity? I've also tried various sunflare mods (which are all awesome!) but the flares are still superimposed on top of the default sun texture. Or maybe there's a way to create a ghost in Scatterer that blocks the default sun, but I haven't figured it out yet. Seems the default sun texture always has priority. Anyway, thoughts and suggestions very much appreciated, thanks!!! It sounds like you are trying to get rid of the stock sunflare, which is the bright light seen emanating from the sun when viewed from a distance. 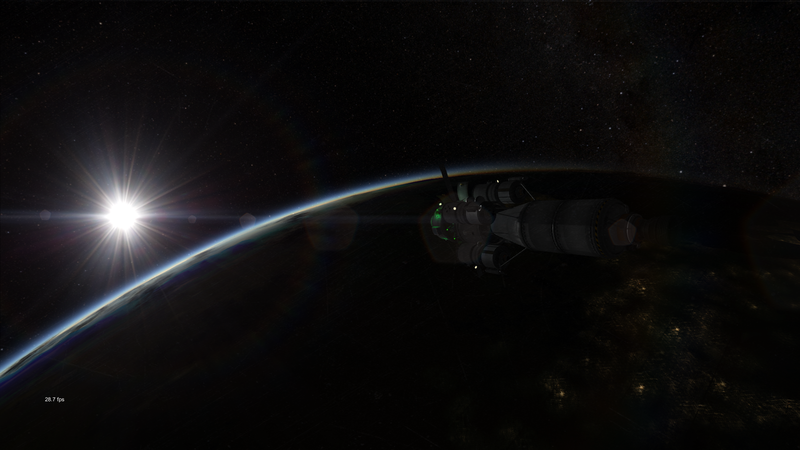 When you add a scatterer sunflare, that doesn't disable the stock one. To do that you have to change the sun's sunLensFlareColor to 0,0,0,0, which will make the stock sunflare invisible. Just install Kopernicus and add the following config somewhere inside your GameData folder. That should do it. Yes, but the numbers used range 0-1 rather than 0-255.